After visiting Edinburgh, Glasgow, St Andrews, Inverness, Loch Ness, and Eilean Donan, Gavin and I finally made it to the Isle of Skye, perhaps the most hotly anticipated location on our journey! We arrived on a wet and misty day, with a thirst for sea air and whisky. 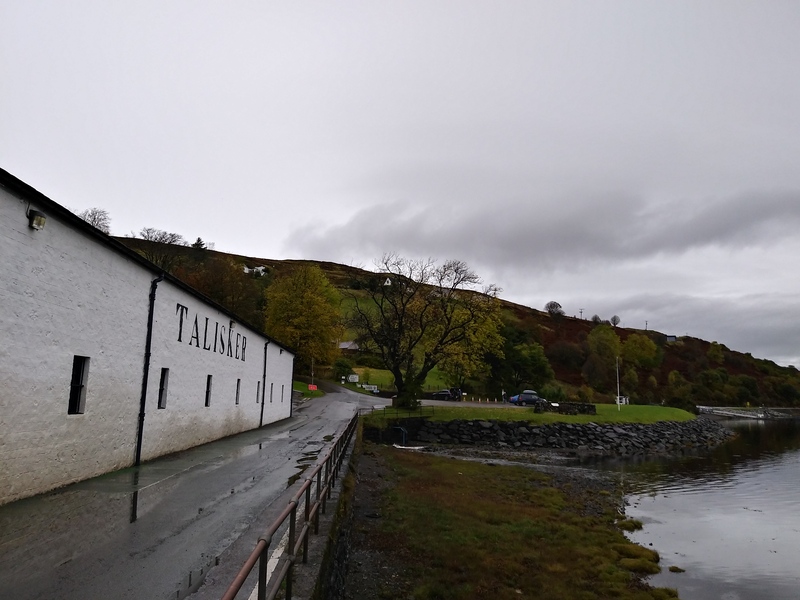 Being short on time and daylight hours, we headed straight to the Talisker distillery, which curiously enough is not located in the village of Talisker, but in the more sheltered village of Carbost. Now forgive me, ye fans of Skye, for we have a little confession to make. 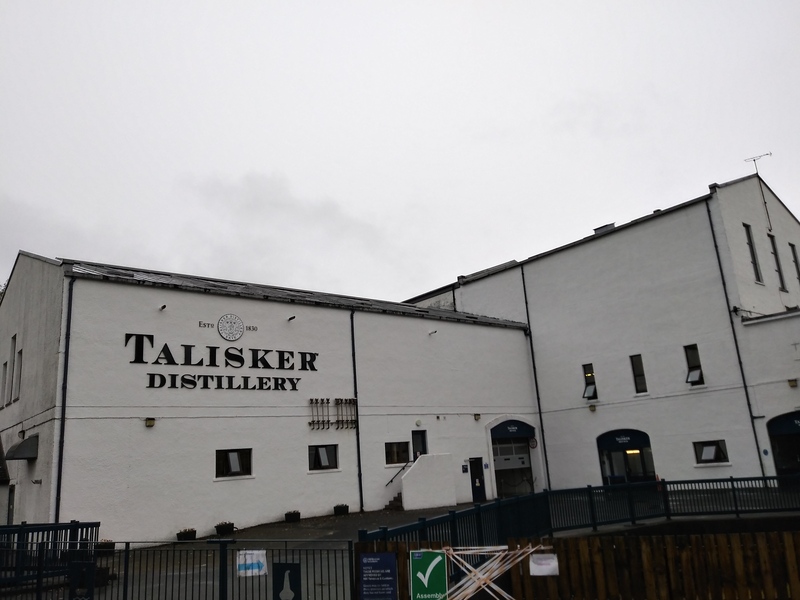 Our initial attraction to the isle had come from our love of Talisker whisky, and as such that was the most important part of the visit, even though the rest of the island is breathtakingly gorgeous and deserved more attention than it received. 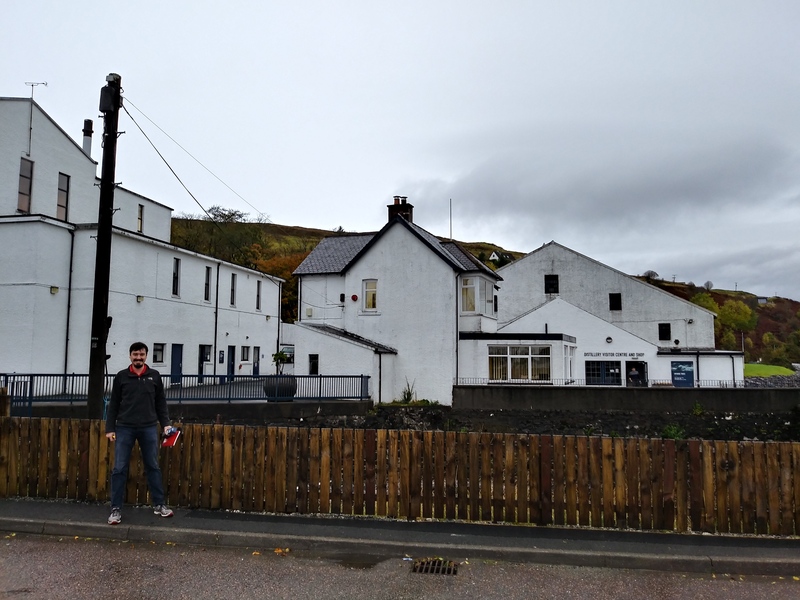 Arriving too late to take a tour, we instead proceeded to sample four of their intriguing whiskies. 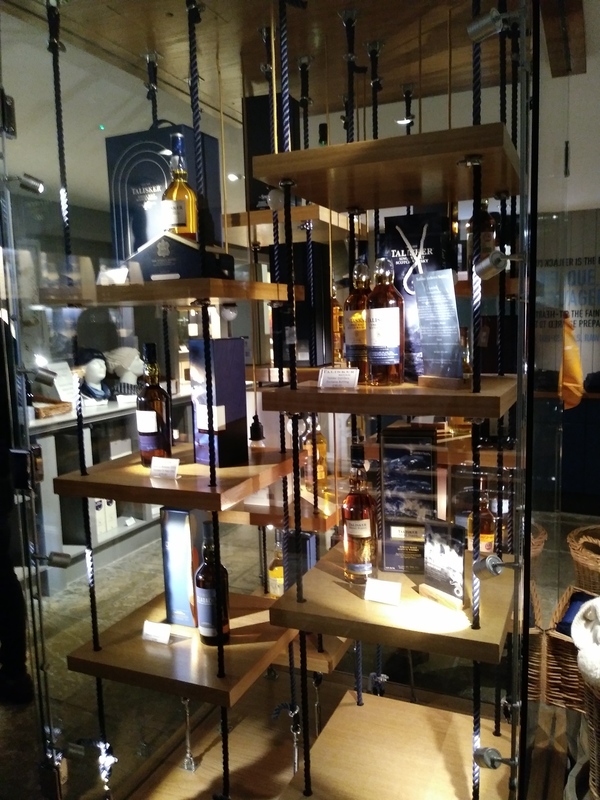 Some things to note about Talisker’s whiskies include the fact that their lowest bottled ABV is 45.8%, they are owned by Diageo, their 10 Year Old is one of our favourite whiskies, and they often tend to marry flavours of peat with fruitier notes. Since the classic 10 Year Old and the Storm were both well known to us, we opted to try new things. Rating: 88/100, and very nice for a whisky so young! I should point out that on the entire trip Gavin was the sole driver (since ICBC refused to renew my license) and so it was always my solemn duty to finish off each dram. I also generally made sure to drink some water in between tastings so that my palate could provide me with reasonably accurate tasting notes. After leaving Talisker, we quickly checked in at our hostel (excitingly located down several miles of single track road!) and then raced off to see what we could in the quickly fading daylight. 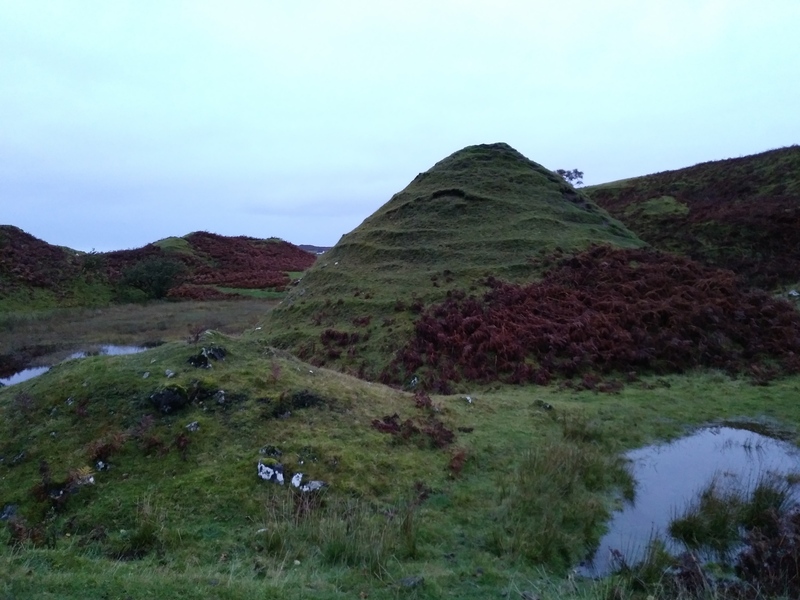 At the recommendation of the hostel owner, we went on a journey to the Fairy Glen near Uig. There we were treated to a magical little valley, full of circular hills, ponds, sheep, and the slanting light of the setting sun. Beautiful! 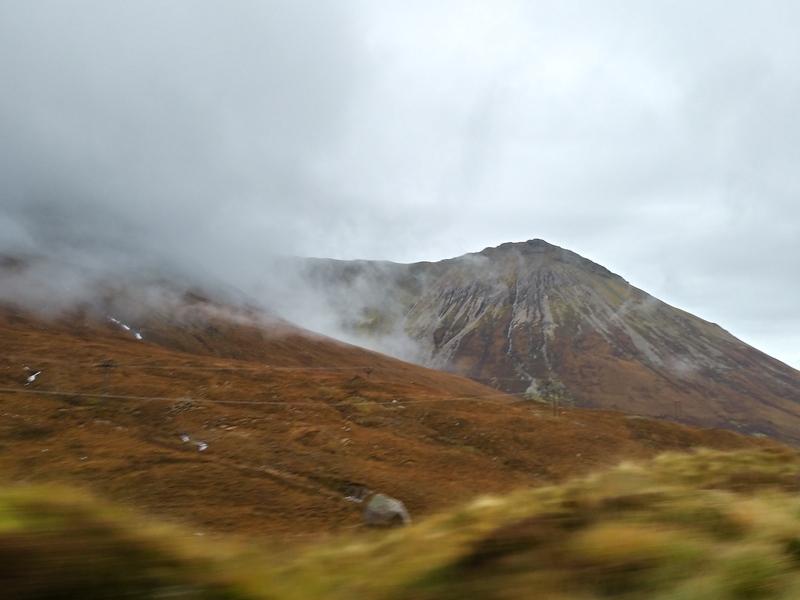 Unfortunately we had to leave Skye the next morning, so we saw nothing else new on our return journey to the mainland. I shall return! Yohoho Warsey man. Do I know thee? Riley – Lucky you! My virtual Talisker tour consisted of a 3-pack of 300 mL bottles: 10-year-old, 18 – year-old, and a 12 (?) year-old double wood (brandy barrel maybe), all enjoyed from the comfort of my dining room. The double wood was my clear favourite. I have never tried the 12 or the 18 of which you speak. I do currently have a small bottle of the 10, which I nabbed in the distillery shop! Finally, a post that has nothing obvious to do with the hockey offseason! 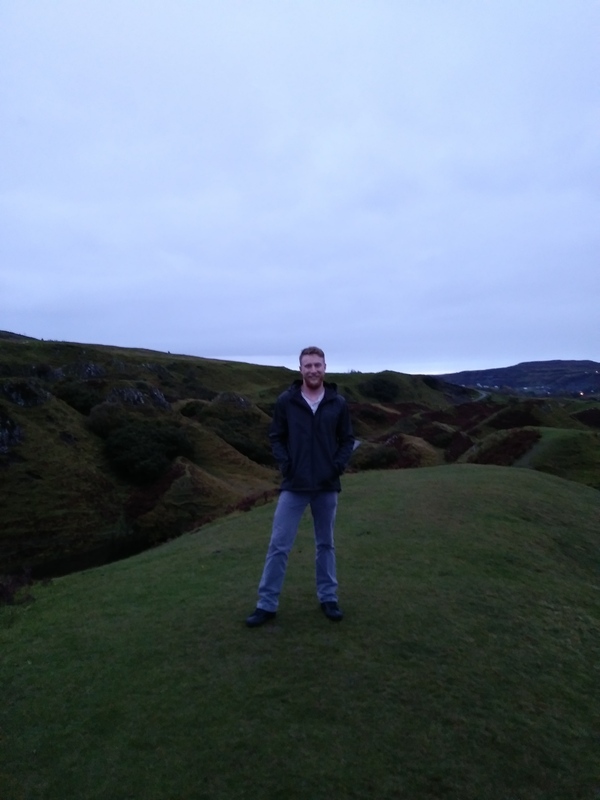 (No, that’s not a golf course Gavin’s standing on) Yay Talisker!!!!!! Dang, now I want some. I seems that a more pungent bait is required to lure out cantankerous old Van Nerling. I even mentioned it to him in person last night… maybe he’s Flamed out and turned over a new Leaf? I always knew Mahovlich was better than Fleury.